Azure Wedding Cars, Cheltenham, works with many venues, suppliers and wedding professionals in Gloucestershire, Worcestershire, Herefordshire and the Cotswolds. 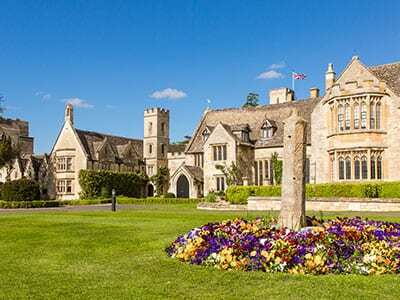 Ellenborough Park is a sumptuous Cotswold manor house hotel that dates back to the 15th Century. It has become synonymous with unforgettable weddings and Azure is one of its select group of trusted partners that provides luxury transport for the happy couple, their family & friends. 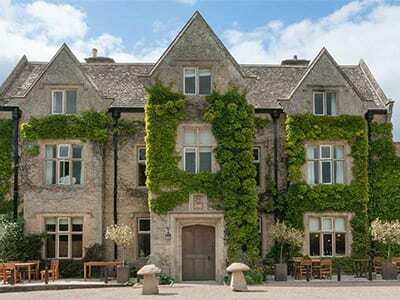 The Greenway Hotel is an Elizabethan Manor House, surrounded by the landscaped grounds and Cotswold hills. It is a picture perfect location to celebrate the most important day of your life with friends and family. 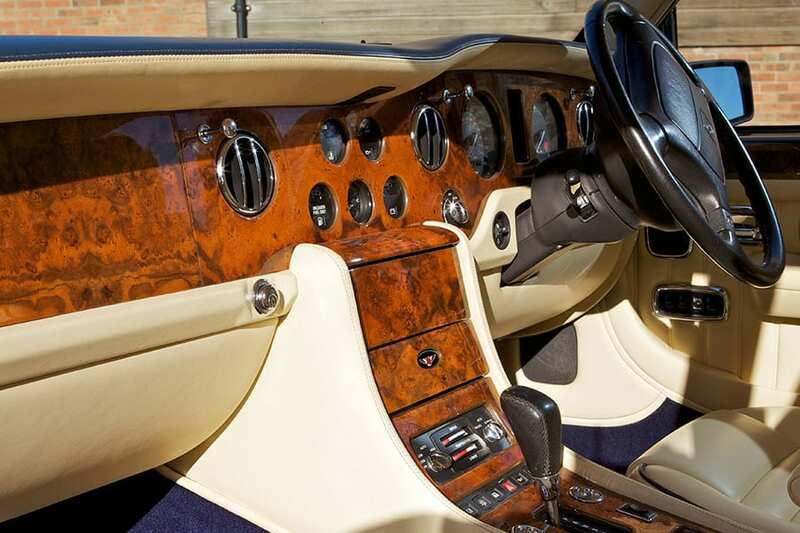 And when you take exclusive use of the hotel they include Azure’s Bentley Brooklands in your package at no extra charge! The Barn at Upcote offers a unique location as a Cotswold wedding venue, birthday or private party in a friendly, relaxed atmosphere. Located between Cheltenham, Oxford and Cirencester, The Barn at Upcote has a unique outlook over a beautiful Cotswold valley and the local farm. 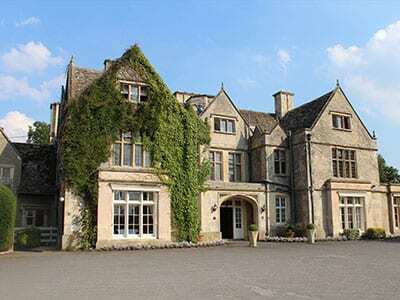 Hyde Barn is an exclusive use venue with guest accommodation just outside Stow-on-the-Wold, featuring a stunning oak beamed dining hall, a separate ceremony room, comfortable lounge bar, and a sumptuous bridal preparation suite and upstairs lounge. With traditional yet stylish design and a relaxed atmosphere, Annie and the team offer the highest standards of inclusive service and catering, together with friendly, helpful and experienced support with your wedding planning and preparation. 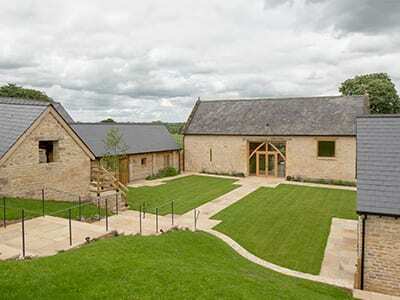 Kingscote Barn is an award winning, privately owned and impeccably maintained restored 17th Century Cotswold stone barn. 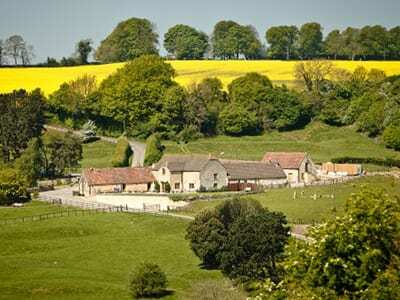 The Barn is set in its own secluded valley overlooking rolling hills and natural beech woodland. 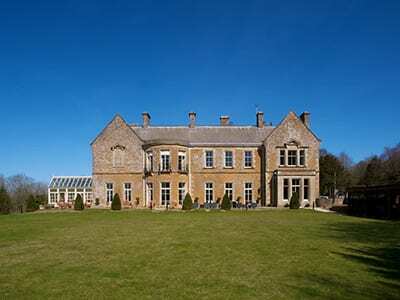 Wyck Hill House Hotel and Spa is a 60 bedroom, 4-star country house hotel nestled within 50 acres of grounds. With a Classic but contemporary charm, this beautiful 18th Century property boasts views of the beautiful Windrush Valley and the Cotswold hills. Finesse Planning was established by Ruther Hunter over eight years ago as a Cotswolds wedding planning service that provides clients with a friendly and personal package. She was delighted to be awarded the accolade of Best Wedding Planner (Independent) for The 2013 Wedding Industry Awards. Azure and Finesse Planning work together to provide our Very Important Bride (VIB) Service. Shen Hassan creates glamorous hair, making every woman look and be sensational on their wedding day. Her inspiration is always within her client and together they achieve that special look that for that most special day. Azure provides the luxury transport for the bride and her bridesmaids that ensures that the beautiful wedding hair Shen has just created is kept in perfect condition for the wedding ceremony and reception. 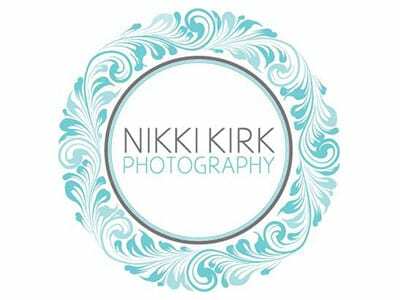 Nikki Kirk, based in Gloucestershire, offers contemporary, stylish, candid wedding and portrait photography in Cheltenham, Gloucestershire, the Cotswolds and throughout the South of England. 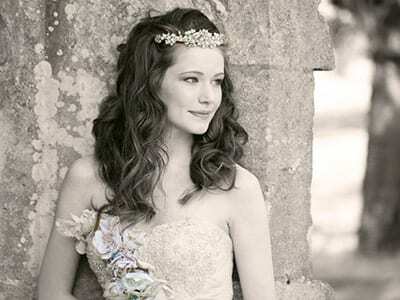 Her work has been featured in Vogue Magazine, Brides Magazine and Cotswold Bride Magazine to name but a few. With a cool, collected and engaging approach, Nikki’s motto is “Keep calm and sparkle”! Say “I do” where you want to with Cotswold Ceremonies; a bespoke ceremony for your special day. 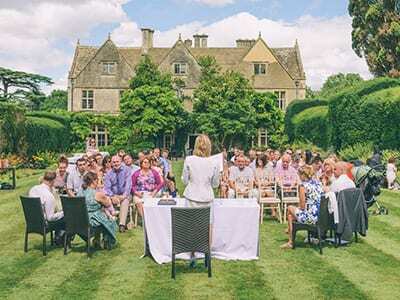 Cotswold Ceremonies is owned and run by Sarah Harper-Little who has worked as a Deputy Superintendent Registrar and Registration Officer in Gloucestershire for many years and has conducted many ceremonies throughout the beautiful Cotswolds. Whatever your venue choice – be it a plane, train, hotel, barn or simply your garden at home – Sarah would be delighted to help make it happen. A one-stop wedding planning website to ensure your wedding planning is as fun and enjoyable as it should be. Lots of resources all in one place to help you find suppliers. Founder Hamish Shepard has his own Evening Standard column, Groom With a View, where he shares insights as one of the UK’s most prominent wedding experts. Bringing brides and grooms the ultimate wedding planning hub for planning your perfect big day. 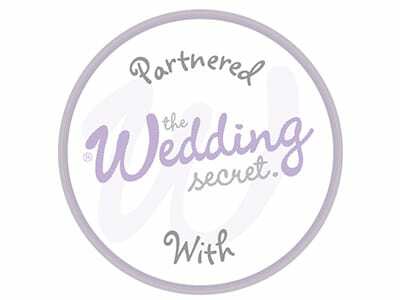 From wedding suppliers, fairs and advice to gorgeous inspiration, the latest trends, special offers and competitions. 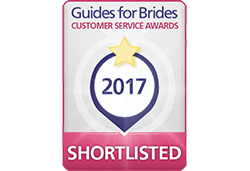 We’re also proud to be able to link with many of our recommended suppliers on Guides for Brides, to help you plan everything you need for your wedding day in one place. 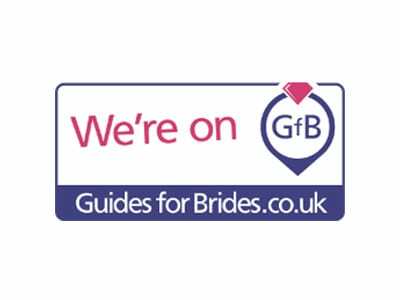 Fuss-free wedding planning, with thousands of suppliers at hand, trends, news and advice and real wedding inspiration. Azure Luxury Cars are proud to be featured in The Wedding Secret directory. 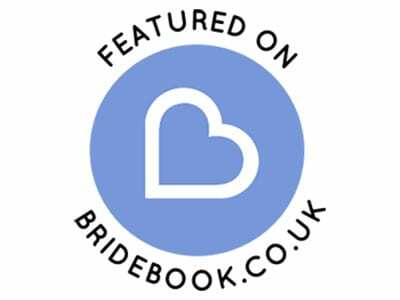 A comprehensive online resource and community which aims to connect prospective brides and grooms with specialist wedding businesses closest to them. The Wedding Secret makes sure that you find suppliers who are ‘just down the road’ and who are knowledgable about their surrounding area. 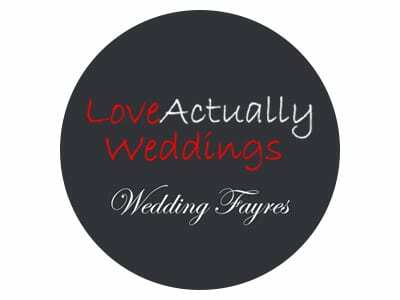 Love Actually wedding fayres offer you a great opportunity to view some of the best wedding venues and the chance to meet a sensible number of suppliers, rather than leave you confused with hundreds of exhibitors. Love Actually Weddings organise wedding fayres in Bristol, Bath, Cheltenham, Cirencester, Gloucester, Taunton, Minehead and Swindon. Describing themselves as “the leading wedding portal in the world, but beyond that [we are] romantics who help couples in love to organise their wedding”. 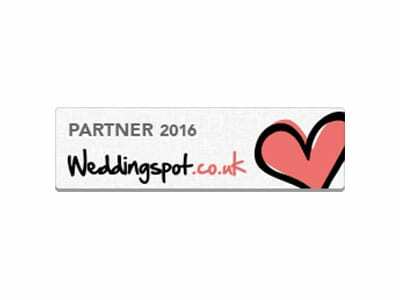 Find real-weddings, thousands of suppliers, inspiration and planning tools at The Wedding Spot. 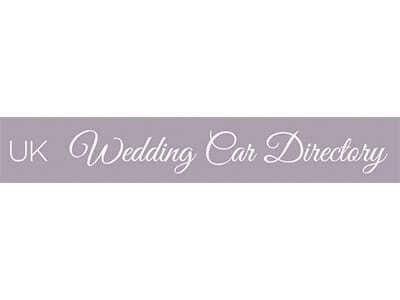 The UK Wedding Car directory is the largest directory in Europe of its type. Owned and operated by the National Association of Wedding Car Professionals (NAWCP), which Azure is a member of. Only it’s fully registered members who have signed up and conform to the Association’s Code of Conduct can offer their cars on this site. 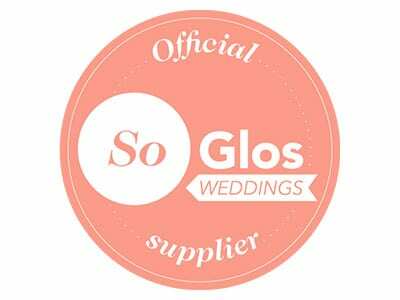 So Glos Weddings provides professional advice on all aspects of this very special day and Azure features prominently on their website.